Michael Gohlke, age 61, of Gatesville passed away on Sunday, January 6, 2019 surrounded by his family. Funeral services will be held at 2:30 p.m., Wednesday, January 9, 2019, at St. John Lutheran Church in Coryell City, with Pastor Christopher Richmann officiating. Burial will follow at St. John Lutheran Church Cemetery. Visitation with the family will be from 5 to 7 p.m., Tuesday, January 8, at the funeral home. Michael Neal Gohlke was born on February 4, 1957, in Waco, Texas, to Curtis and Elsie Richter Gohlke. He was baptized at St. John Lutheran Church in Coryell City on March 17, 1957 and confirmed in his faith on December 19, 1971. Michael was a lifetime member of St. John Lutheran Church, which he served on the church council for numerous years. He loved his church and church family and was always willing to serve as needed on various committees. Michael grew up and attended Gatesville schools, graduating in 1975. While in high school, he was part of the marching band and played the trumpet. After high school, he attended McLennan Community College in Waco. Michael was a proud HEB Partner for 45 years. His HEB career started at the young age of 16 when he started working part-time for HEB in Gatesville. Over the years, he worked for many HEB locations including stores in Waco, Austin, Killeen and Lampasas. In total, he worked at 15 different stores in 45 years. After many dedicated years, Michael was proud to come back to the Gatesville location where his career began. He treasured all of the many friendships that evolved over his work career. Michael was also very active in his community. He has served on the Gatesville Chamber of Commerce Board, Keep Gatesville Beautiful, HEB Feast of Sharing, Coryell County Youth Fair and was always eager to give back to his community. Michael is survived by his parents, Curtis and Elsie Gohlke; brothers, Richard Gohlke and wife, Donna, Randy Gohlke and wife, Jacqueline; sister, Cindy Bone; nephews, Preston Gohlke and wife, Laura, Garrett Gohlke and wife, Kayla; nieces, Jordan Bone, Kendall Hamel and husband, Josh, Nikki Harris and husband, Matt, Shauna Arnold and husband, Logan; and nine great-nieces and nephews, to include one due in May. 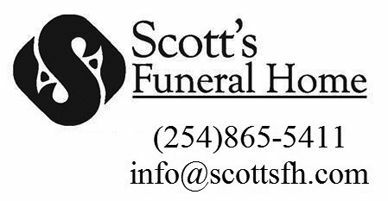 Memorials may be made to St. John Lutheran Church, St. John Lutheran Cemetery Assn., 10801 FM 929, Gatesville, TX 76528 or a charity of your choice.